Perfect christmas gift idea for a personal touch to any home! With a tealight stand. - For a glow effect. It will add the perfect 'christmassy' touch to any family home. Large size, so it is a great centerpiece and will look great in any home this christmas. 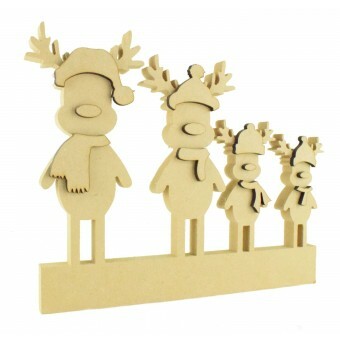 The start price is for the base of the reindeer family, then each option you add will adjust the price accordingly. Available in various options to create your own unique family. If your Family is more than 7 (including pets) then we will need to split the stand into 2 sections. We will make them fit together as one but will need to come appart to post. Otherwise we are unable to post. 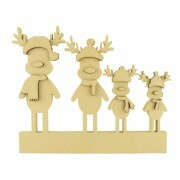 Each Reindeer comes with its own set of accessories for you to add to the Reindeer . There are now new options to add Dogs, Cats or Rabbits or a combination of them. 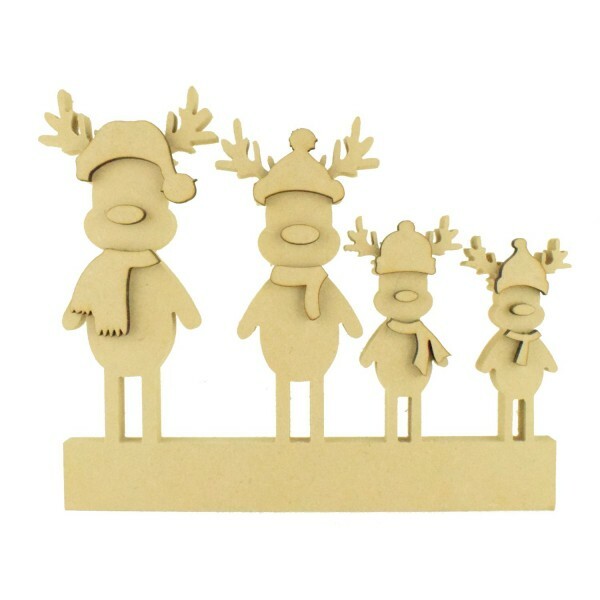 Also an option to add an Angel Adult or Child to your Reindeer family in remembrance of a lost loved one. The width would vary depending on the options chosen. Freestanding 18mm MDF with Laser cut 6mm Accessories.